E’ stato reso disponibile un nuovo aggiornamento firmware per il Nokia E75, si tratta della versione 200.12.51, attualmente installabile solo presso i Nokia Point. Un aggiornamento corposo che si occupa di introdurre nuove funzioni e correzioni ai bug. Il changelog ufficiale non è ancora disponibile ma dalle informazioni che circolano in rete apprendiamo che lo trovate subito sotto l’immagine. Nel nuovo firmware sono state aggiunte le applicazioni Facebook, YouTube, MySpace e Ovi Contacts. E’ stato inoltre aggiornato il client N-Gage e migliorata tutta la parte web dedicata alla condivisione delle immagini. 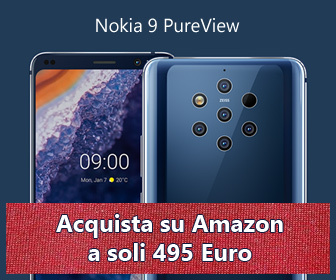 Anche la parte dedicata alle mail è stata oggetto di attenzioni da parte di Nokia che sembra aver corretto qualche baco migliorandone l’intera gestione. Stessa cosa per la parte Web. Piccoli cambiamenti anche alla home, con l’aggiunta di nuove scorciatoie. Se aggiornate fateci sapere nei commenti le vostre impressioni. * Ovi Contacts • Integrated to Contacts. Chat with your friends using your Ovi account. Gtalk is also enabled. Share your status and location. Ovi Contacts users can upgrade to Chat 2.0, which will be available in Ovi Store. * Facebook, YouTube and MySpace • In Applications folder, there are icons to launch these services. * The icon of E-mail notifications changes from grey into yellow cover after disabling/enabling. * Email in Email support (if an email message is received, where an email message is as attachment, the attachment is opened in email viewer, not in notepad as earlier). * English string ‘Search for WLAN’ displayed in AP setting view. * MFE_2.9.158 MFE After initial synchs, can not sync to this 2007 server, HTTP 502/501 is received. * Phone has no response after selecting “Open in intranet” to open Intranet link in an email. * Message body is empty. Extra characters visible. Different results for different languages. * “Move to Drafts” does not work in Outbox of MFE. * MFE loses AP configuration when different connections are up. * Performance & Usability improvement (eg. opening of calendar items is faster). * Meeting request with “Fortnightly” recurrence is shown as “Weekly’ in meeting request viewer. * Wrong start time in Meeting Request. * Performance improvements, especially when handling a large number of contacts, eg. opening a contact is faster. * Many operations in contacts are impossible after pressing clear key when call conference service is in focus in Group Members list. * “Contacts: system error (-6)” pops up when delete several marked groups. * Phonebook application is opened after memory card backup if VoIP settings are set. * If a user tries to clear the find pane by long press of a clear key, delete confirmation query is displayed and some contacts are not shown in phonebook. * With Chinese input, Contacts Apps. is closed when sending a message to a contact. * performance improvements, faster browsing and smooth zooming. * VCC VoIP settings: Can not open VCC settings in Net settings. * Better conference call performance. * Quickoffice 5.3, with Windows 2007 document support. Additionally, the user can update to Quickoffice Premier 6 in-device using the Quickoffice application.